It's the second Atlanta shop for the Tennessee-based company. Five Daughters Bakery on April 19 will open its Westside Provisions District shop. The family-owned bakery will serve made-from-scratch doughnuts, pastries, and treats, out of its new home, at 1198 Howell Mill Road. 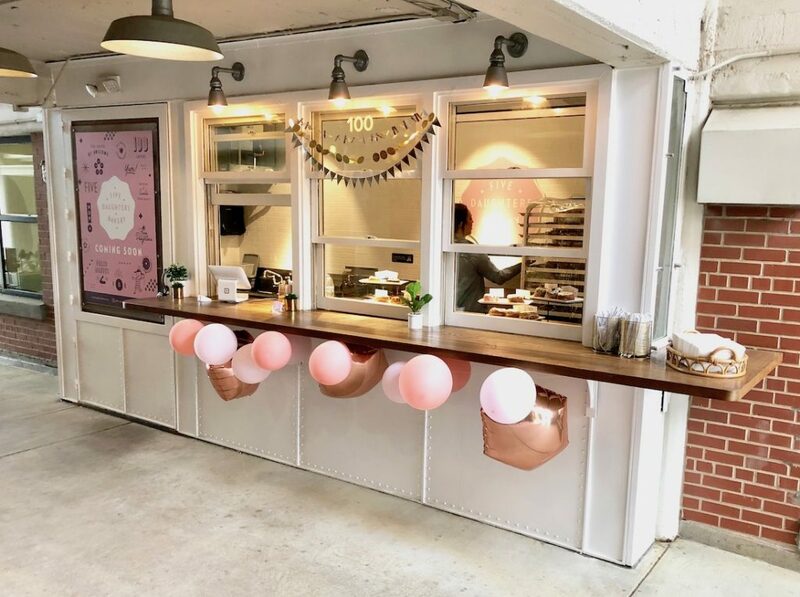 Five Daughters Bakery is located on the development’s mezzanine breezeway across from Little Barn Apothecary. It is the second Georgia location for Five Daughters Bakery. The company's first local outpost opened last year in Ponce City Market. “The only thing sweeter than running a bakery for a living is getting to share our tasty creations with new neighbors and friends in Atlanta,” Co-Founder Stephanie Meek, said in a prepared statement Monday. In honor of the new Westside shop’s opening, Five Daughters is hosting a weekend-long grand opening celebration on Friday, May 10 through Sunday, May 12.